A revolutionary new patent-pending product developed in a natural lab used to sanitize, clean and refresh your wigs, hair extensions and even your natural hair. Contains natural and safe ingredients. Spray on Wigs, Hair Extensions- sparingly instead of shampooing wigs and hair extensions. There’s no need to rinse. A revolutionary new patent-pending product developed in a natural lab used to sanitize, clean and refresh your wigs, hair extensions and even your natural hair. Contains natural and safe ingredients. Spray on sparingly instead of shampooing wigs and hair extensions. There’s no need to rinse. It’s that simple. SANITIZE. KILL GERMS. STOP SCALP ITCH. 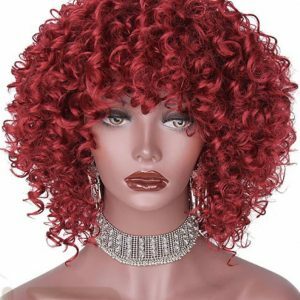 FRESHENS & STYLES WIGS, HAIR EXTENSIONS, AND YOUR SCALP. BENEFITS OF USING OUR REVOLUTIONARY WIG SANITIZER FOR YOUR WIGS, HAIR EXTENSIONS, AND YOUR NATURAL HAIR WHEN BRAIDED. • Contains safe and natural ingredients. Relieves discomfort from wearing wigs. Spray around neck, hairline and ears before wearing wigs to relieve discomfort so you can comfortably wear your wigs all day! 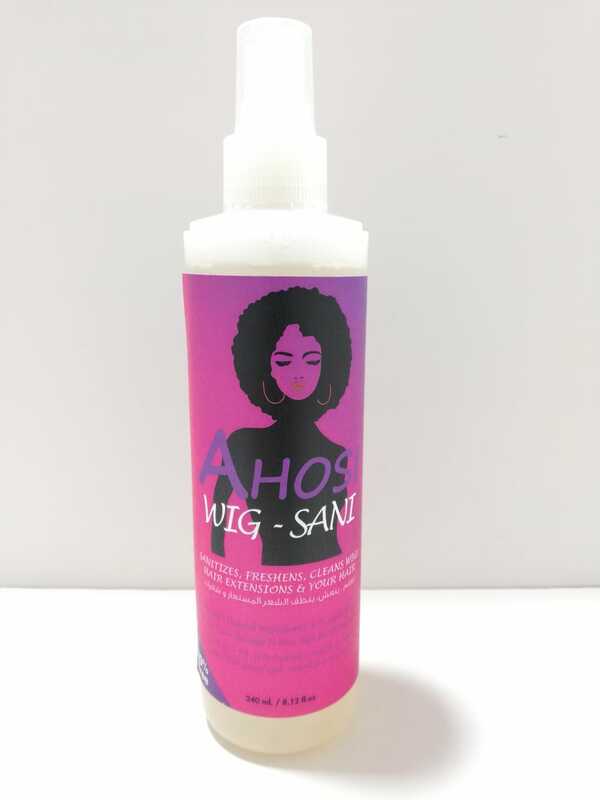 • Use AHOSI Wig Sanitizer to sanitize, freshen & clean your wigs, & hair extensions in place of washing with shampoo which may cause them to crimp and frizz or damage quicker. 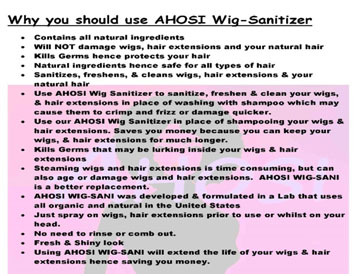 • Use our AHOSI Wig Sanitizer in place of shampooing your wigs & hair extensions. 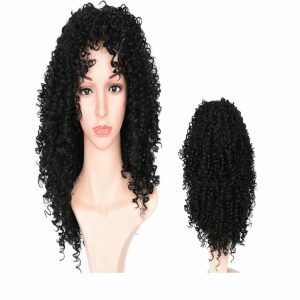 Saves you money because you can keep your wigs, & hair extensions for much longer. 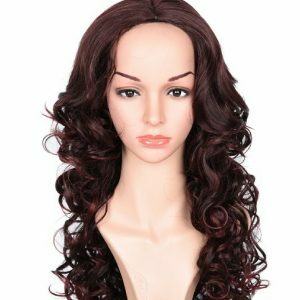 • Steaming wigs and hair extensions is time consuming, but can also age or damage wigs and hair extensions. AHOSI WIG-SANI is a better replacement. • Just spray on wigs, hair extensions prior to use or whilst on your head. • No need to rinse or comb out. 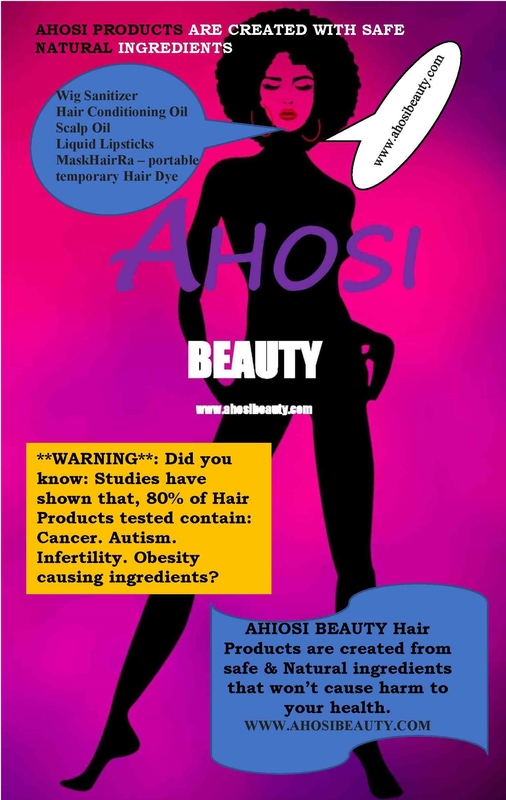 • Using AHOSI WIG-SANI will extend the life of your wigs & hair extensions hence saving you money.